The work is inspired by her personal experiences, creating an intimate connection with the audience through its authenticity. The works challenging themes are delivered with wit and humor. The insightful observations of human behavior and relationships enable audiences to identify with the stories in a multitude of ways, as they resonate with their own experiences. Gilmore has forged her identity as an artist working in new and surprising ways across art forms, developing her reputation as a collaborator by working with some of the UK’s leading artists. Using original composition, well written text, intriguing designs and film to create her bold choreographic style. The company’s professional work is directly linked to its community involvement and the two are inter-dependent with one inspiring the other. The enthralling and enchanting Tiger Tale, by Glasgow based Barrowland Ballet, a modern fable for the 21st century and a dance theatre tour de force. It is the multi-sensory nature of Gilmore’s show that makes it such a winner. The experience of performing was awesome. Born in London, Natasha’s early training was as a junior associate of The Royal Ballet School at Sadlers Wells, then Bush Davies and culminating at Laban. Since then she has worked as a dancer with Rose’s Thoughts, Protein Dance, Jasmin Vardimon, Jean Abreu and The Institute of Crazy Dancing. On moving to Glasgow to be the Artist in Residence at Dance House, she founded Barrowland Ballet. As well as choreographing for Barrowland Ballet she has made work for Indepen-dance, Y Dance, Maryhill Integration Network, Leap of Faith, Dancexchange and created a mass participation dance performed on the main stage at T in The Park. She frequently works as a choreographer within theatre productions. She did the choreography for the National Theatre of Scotland’s musical, Glasgow Girls and previously worked on productions with Vox Motus, Cumbernauld Theatre, Tron Theatre and Pachamama Productions. Natasha is passionate about devising participation work and has made a number of large scale participation pieces including The River, a large scale site-specific piece for the 2014 Cultural programme and Greenwhich and Docklands International Festival, Big Dance Events performed in Trafalgar Square and at the Southbank Centre, commissions for The Merchant City Festival, Luminate Festival, Inspiration Festival and East London Dance. Barrowland Ballet is a company limited by guarantee with charitable status. Founded in 2007 Barrowland Ballet rapidly rose to prominence within the dance theatre scene in Scotland. The origins of the company were in an artist residency project undertaken by Natasha Gilmore, the company’s founder, at Dance House, Glasgow. During that time Natasha discovered that there was a demand in Glasgow and beyond for a permanently established company to build and consolidate the kind of work she was offering with direct links between the professional and community. Becoming a registered company in 2008 and subsequently a charity in 2009, the company has achieved excellence in terms of artistic standard, which is reflected in their continued support from Creative Scotland. Barrowland Ballet has achieved great success over a short time span. Natasha’s first touring work for the company, The Blank Album 2008/09 has performed in over 70 venues throughout the UK. Subsequent tours of her work, One Up One Down 2009/10 and A Conversation with Carmel 2011 have received great acclaim from audiences and critics alike. A Conversation with Carmel was part of Made in Scotland 2011 and was Judith Mackrell’s, The Guardian, choice as Best Dance of 2011 at the Edinburgh Fringe. Tiger and Tiger Tale (7+) toured nationally, appeared at Imaginate 2014 and was part of Made in Scotland 2014 and has toured internationally, Poggle toured in 2014 and was nominated for a CATS award. Barrowland Ballet devises work with Maryhill Integration Network, who seek to integrate asylum seekers and refugees with the local community. This work has resulted in a number of performances and was featured in the BBC Alba Documentary Dannsa. The company is celebrated for its accessibility in terms of outreach participation work and for generating new audiences for dance through the style of work it creates and the venues the company performs at including the main stage at T in the Park and at Latitude Festival. 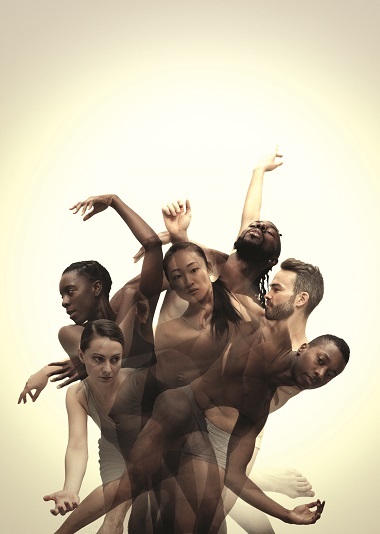 Other participation work has seen a number of collaborations with East London Dance. Dancing Voices, was a large-scale piece with 200 participants who were 60+ years old. This was a dance piece performed to a live choir created for events at the Southbank and The Merchant City Festival. Bunty & Doris was an intergenerational project with 100 participants which performed at Macrobert Arts Centre and Platform. The River was a site-specific piece performed by our professional ensemble alongside a cast of 150 dancers and singers as part of Culture 2014. In 2012 the Barrowland Ballet youth company was formed and they have had a successful year devising and performing their work at a range of event from Go Dance performing at Glasgow’s Theatre Royal, to the media launch of the Queen’s Baton Relay for the Commonwealth Games 2014 performed at the Emirates Arena.